The process to demolish the derelict Jerma hotel has finally taken off, years after the Marsascala hotel closed its doors, becoming a death trap. Planning Parliamentary Secretary Deborah Schembri confirmed to this newspaper that the Planning Authority yesterday issued an enforcement notice, ordering the hotel’s owners to demolish the building. For years, the abandoned area had been a cause for concern for residents and those in the area, with what remained of the building slowly falling apart. The area had also become a dumping ground, with many disposing of their waste there. Dr Schembri said that the issue had been left unaddressed for too long and it was high time action was taken. “The Planning Authority is in the process of issuing a series of enforcement notices and the Jerma hotel had to be one of them. It has been left unattended for too long,” the Parliamentary Secretary said. She insisted that while the authority would be following all the standard procedures by giving the owners the time stipulated by law to address the issue, the case would be followed closely to ensure they comply. 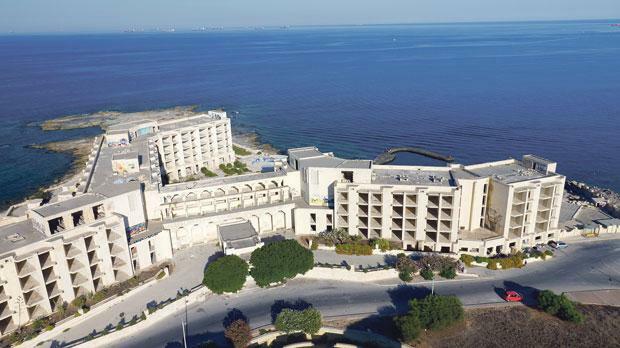 Early today, the Planning Authority announced that it had served owners of the Jerma Palace hotel and Mistra Village holiday complex in Xemxija, which is in a similar state of disrepair, with enforcement notices. The notices demand that owners sort out the abandoned sites, which the PA said posed "an injury to amenity." Last month, councillor Charlot Cassar put forward a motion for the council to formally submit a request to the authority to take action. This was seconded by vicemayor Desiree Attard. The council has often said that it received daily complaints about the site and the dangerous state it is in, with residents complaining about the area being filthy. Concerned about the impact the site is having on tourism in the area, the council claimed that those who visit Marsascala were often shocked when they come across the area on their way to the beach nearby. Dr Schembri said that she was aware that the issue had for years irked those residing in the area, adding that it was not the first time she received reports that there were people actually camping at the site. In a reaction, Mr Cassar welcomed the PA’s decision to issue an enforcement notice to demolish the Jerma ruins. “The building is in a state of disgrace. I thank all those who supported my motion to remove this eyesore and danger to our children. I hope that this decision will be followed by immediate action for the good of everyone,” he said. The hotel closed down in March 2007 and the building has been stripped of everything. Developers have over the years shown an interest in resurrecting the site by demolishing the old structure and building a new hotel and apartments.